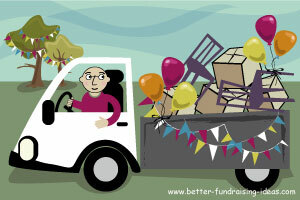 Are you looking for fundraising event ideas? Special days and holidays give all sorts of opportunities for a great fundraiser. They provide inspiration for fantastic charity event ideas and convenient hooks around which you can raise money for the causes close to your heart. With a bit of work well known special days such as Easter, Valentines, Halloween can become great money-makers for your organisation. But do not overlook either some of the other quirky little days of the year. Shrove Tuesday (pancake day) - Cries out to have an after school pancake race. Shakespeare's Birthday April 23rd - What a great day for a Book Fair. Boxing Day 26th December - Time for a sponsored dip in the sea! The year is full of these sorts of days. 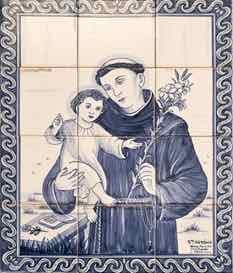 Is your school, church, hospice or local hospital named after a saint? And you're not using that saint's day for a fundraiser? What's wrong with you? The calendar is stuffed full of great excuses to put on an entirely new event or add a twist to something you are already doing. Pretty much any day can be turned into a brilliant event if you use a bit of imagination. Still can't find a date for an idea that works for you? Give it a year or two and any of these could become a regular fixture on your town's social calendar. So take a good look at the diary and look for a day that's just begging for a crack fundraising team like yours to get their hands on it. 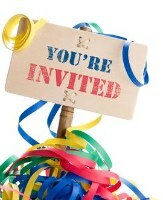 Did you come up with a great fundraising event? This website is used by charity, school and church groups around the world. Share your charity events ideas with other people.